Posted on July 9, 2018 at 12:36 pm. What a wonderful start to the summer – with youthful heartfelt community choirs singing subtle connections to earth, air, water and spirit. And the official opening of the Temple of Light drawing a grand gathering to celebrate – with thoughtful tributes from local leaders and elevating dances from talented young dancers. The sounds and images linger, resonant and uplifting. Now is a time of fulfillment, like the fullness of the garden spilling with flowers, the ripening of berries becoming sweet. The essence of the Ashram flows through service, generosity and care. So many give so much to make it happen and the sweetness of gratitude emanates. Today as I write, the Ashram is filled with voices of children as we expand into our annual Family Retreat. The sun is shining brightly and it feels good to pause and cherish these moments. There is hope that the future can be bright, that we can learn to live together in harmony, offering our unique gifts. 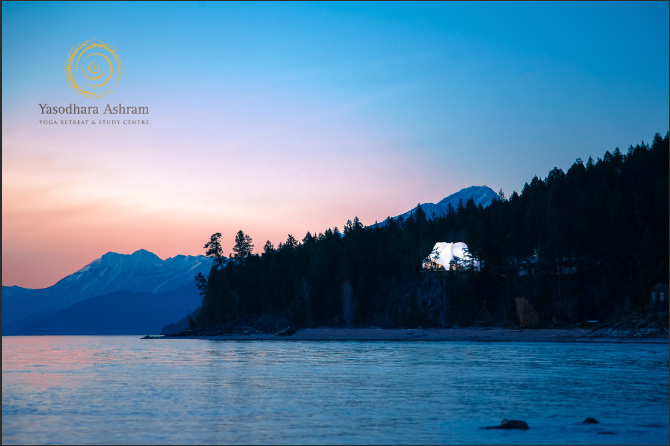 I look forward to seeing many of you at Yasodhara Ashram this summer. Come and celebrate your inner Light! Join Swami Lalitananda for Shining Brightly – July 16-20! Expand your understanding of who you are and who you want to be. Take ten days away from stress in a safe and nurturing place of reflection. As a participant in the 10 Days of Yoga, you can stay on at no cost for up to seven days to practise Karma Yoga. Through dance, yoga and time in nature connect with your body on the sacred ground of the Ashram. Become grounded in yourself through self-exploration and dialogue with other women. Find and nurture the sacred within through devotional practice, caring for yourself and listening to the wisdom and cycles of our Mother, the Earth. Find out more. Step away from the busyness and stress. Learn yogic practices – visualization, breathing techniques, concentration and reflection – to help you approach the mind’s expansive potential. The natural beauty and silence of the Ashram will support your search for this silence and beauty within. Find out more. Gather a group or come on your own solo journey. August 3-5 is the Temple Dedication, a contemplative gathering to honour the commitment that manifested this beautiful vision. Or come anytime for a course, retreat or Karma Yoga. We can tailor retreats for your group’s needs. The Temple is ready and waiting for you! Jan 9 – Apr 9Reserve your place in the 50th anniversary of our three-month Yoga Development Course (YDC)! Give this precious gift of personal and spiritual growth to yourself. 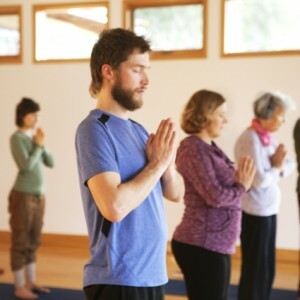 The YDC is built on a series of integrated workshops that weave experiential learning with various practices of yoga. It is valuable to all those who wish to make lasting changes and to live a richer, more meaningful life. See more in the 2018 Program Calendar online and our programs-at-a-glance poster. Our Temple Grand Opening and Strawberry Social on June 23rd was a day of joy. We welcomed about 700 people from around the region who came together in love and community. Swami Lalitananda led the ceremonies with a heartwarming welcome to a large crowd of visitors. The highlight of the day was the performances by DanceFusion, a group of young dancers from Nelson, choreographed by Slava Doval, a former Ashram Teen Program participant. Slava credits the Ashram for the formative experience in understanding that dance can be a sacred art that speaks to the spirit. Mayors from both Nelson and Creston attended, and the ribbon cutting ceremony included representatives from our area: Garry Jackman (Director of Area A of the RDCK), Gina Medhurst (President of Kootenay Lake Chamber of Commerce) and Wayne Stetski (MP for Kootenay-Columbia). Their reflections highlighted the Ashram’s valuable participation in local projects over the many years and our role as a beacon of love and acceptance. 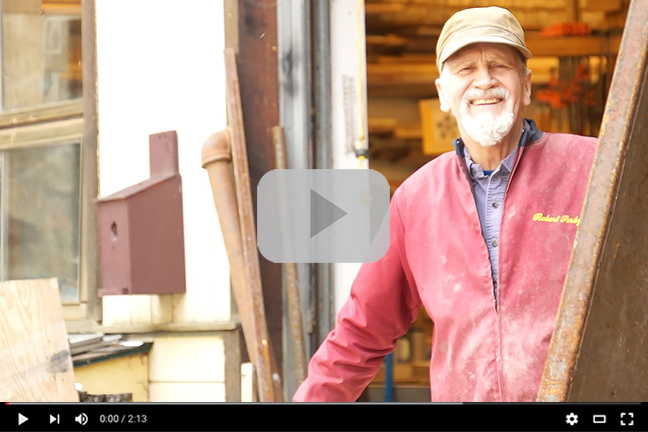 The finale was the video, Temple of Light by Gem Salsberg, featuring interviews with Ashram guests and residents as well as with the architects, fabricators and contractors. The entire event, including the generous servings of strawberry shortcakes and popular used book sale, was a huge success owing mostly with gratitude to our organizers, sponsors, staff, community volunteers and karma yogis. Check out our Facebook page for more photos from the Temple Grand Opening and Strawberry Social. 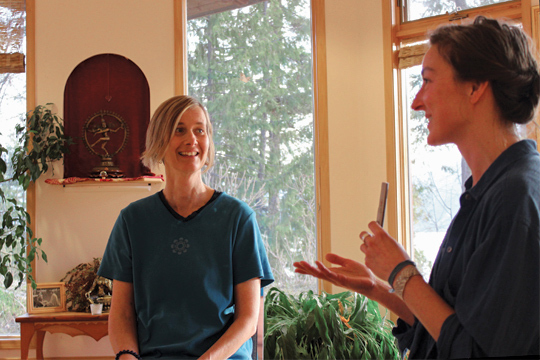 Sandra Vandenhoff (left), an audiologist who wears a cochlear implant to assist with her hearing loss, reflects upon her time in the Yoga Development Course (YDC) using group microphones. She quickly learned how her technology became a positive symbol. I’ve had progressive hearing loss since preschool. By the time I graduated from high school, my hearing loss was profound. Hearing loss inspired me to study audiology. It’s been a real gift, in that it is a source of many life lessons. Going in to the YDC, I was concerned about the impact of the microphones on people’s spontaneity. I’d had situations before where I didn’t feel a part of the group. That’s how I entered – what’s going to happen? I wasn’t sure. From the first night, the people in the class started to tune into what I needed. It was incredible. People were so accommodating. Somebody said, “This microphone is a symbol: it means I have the floor, so it’s my turn to talk.” Others said it meant a lot to them, like a talking stick. It became obvious to me that it just wasn’t for me – it was for the group too; that made it easier. About going back home, one YDC participant said, “This is not the end; this is the beginning.” That’s how I really feel. It’s the start of a new life. I stepped up right away back in Calgary. I’ve offered satsang and I am teaching Hatha Yoga. I never thought I would be doing that. Through the YDC, I’ve learned how to support myself through change and uncertainty. I’m changing how my mind works. Consider joining the 2019 YDC – our 50th year of this foundational life-changing course. Imagine a choral sonic experience of over 70 voices, moving through the Ashram landscape – voices singing, reciting poetry – rippling with the water and sounds of a wind-chime tree, connecting with those who have come before and after, led by voices in the open tipi, voices high on the hillside, into the lavender field, walking through a column of voices into the still forest, through the garden to the orchard-humming bees, rippling sounds of poetry, singing beneath each tree – into the Temple of Light – sitting still within the sound in the centre of the Temple, experiencing ripples, fragments, heard throughout the journey. 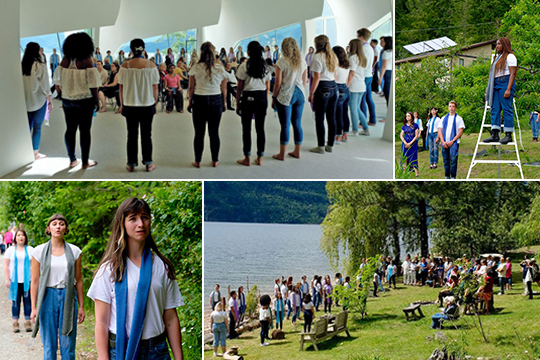 For six days the Ashram was blessed with the sound of singing throughout the landscape as Corazon Vocal Ensemble and University of Western Ontario’s Community Through Choral Arts created a series of progressive concerts called Ripple Effect. Corazon director, Allison Girvan, describes how the concept for Ripple Effect changed many times through this creative process. Thanks to many generous donors, we raised over $30,000 as part of our Caring for our Inheritance fundraising campaign. 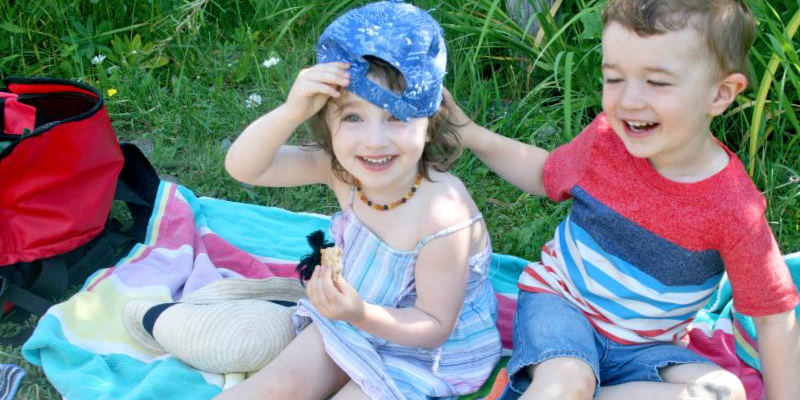 We are touched by the overwhelming response that helped us exceed our goal of raising $10,000. Thank you! We are especially grateful for all of the donations that came in for the month of June via CanadaHelps that increased our chances of winning the Great Canadian Giving Challenge. Although we did not win the $10,000 prize, we are moved by the support we received – $22,000 in donations from 140 donors. Funds raised will support our efforts to steward the Ashram lands as part of Swami Radha’s lasting legacy, including our current efforts to regenerate and restore the land around the Temple. The irrigation system is close to completion and will be the first use of our new well. Soil amendment is next. We invite you to the Ashram this summer to experience the new Temple and see for yourself the progress being made on landscaping the Temple. 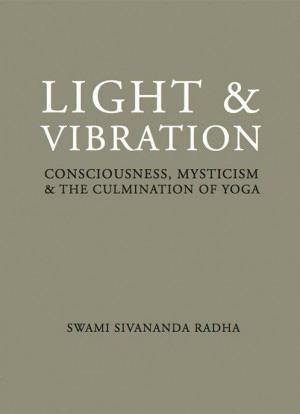 In Light and Vibration, Swami Sivananda Radha presents a living philosophy, an exciting exploration of higher consciousness that challenges spiritual preconceptions and stimulates deep reflection. Based on the understanding that the universe is made up of light and vibration, Swami Radha goes beyond the clothing of religious symbolism to help the student toward enlightenment. Be inspired with this beautiful desktop & iPhone wallpaper. 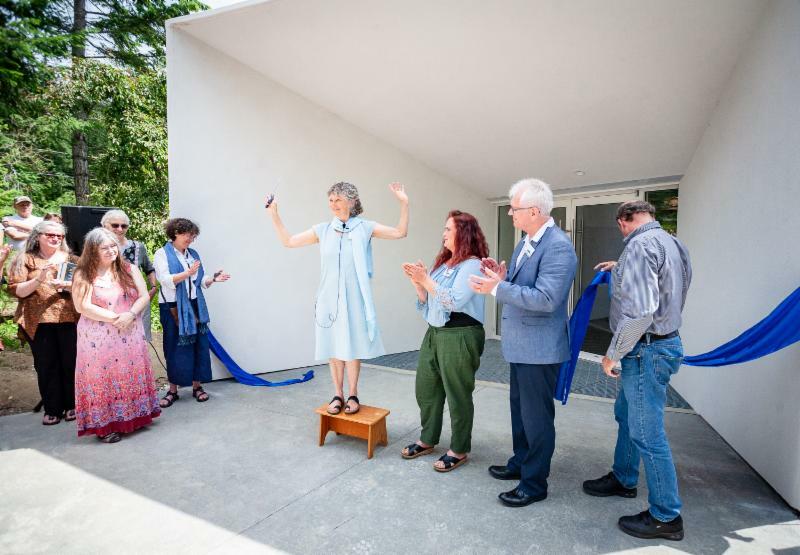 Media Shines the Light – Lorne Eckersley, publisher of the Creston Valley Advance, wrote a beautiful opinion piece about his visit to the Temple of Light Grand Opening. The Nelson Star and other local media also covered the day. 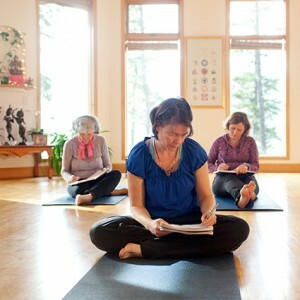 Western Living named the Ashram one of the top seven eating experiences in BC in this online article. A Year of Victory – Our beautifully designed Annual Report for 2017 features the Temple of Light and is titled “A Year of Victory.” See more about our successes and learnings here. 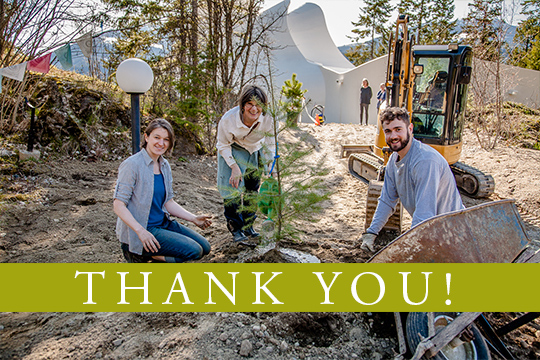 Thank you to Local Sponsors and Businesses – We thank the following local artisans and businesses who so generously donated door prizes for our Temple Grand Opening and Strawberry Social on June 23: Barefoot Handweaving, Black Salt Cafe, Cabin Restaurant, Dog Patch Pottery, Kootenay Coop, La Gala Jewellery, Moonrakings Pottery, Niramaya Herbal Remedies, North Woven Broom, Purcell Studios, Red’s Bakery. We also thank our sponsors, Columbia Basin Trust, Columbia Power and Nelson and District Credit Union for their support. Recognition of Patkau Architects – The Temple of Light’s designers, Patkau Architects, continue to receive accolades of recognition. 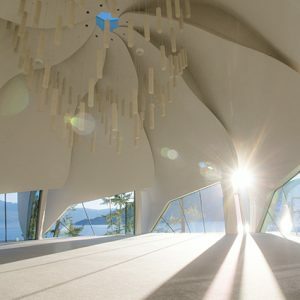 In May 2018 the newly opened Audain Art Museum in Whistler, BC won Canada’s Governor Generals Medal for Architecture, their 18th, making them the highest recipients of this architectural award. For the same building they also won the 2018 RIBA Award for International Excellence and the American Institute of Architects Institute Honor Award for Architecture. The new museum is a testament to the philosophy of using natural timbers in its construction of the ceilings and large glazed windows as in the Temple of Light, where the beauty of lake and trees participate in the experience of the interior. 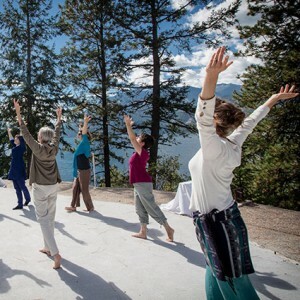 A Weekend of Devotional Dance, Aug 17 – 19 – The Ashram is delighted to welcome back Anusha Fernando, artistic director of Vancouver’s Shakti Dance and Ashram dance teacher, Swami Yasodananda, for this inspiring weekend of devotional dance and reflection. 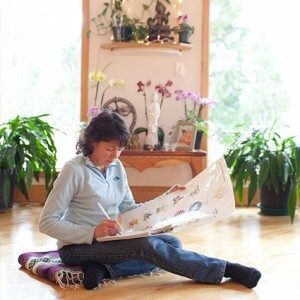 Powerful Kootenay Women – Swami Radha was featured in the “She. We. They: The Women Show” at Touchstones Nelson – Museum of Art and History. Swami Radha’s portrait (top row, fourth from the left) is featured alongside other portraits of powerful Kootenay women, past and present, including many with Ashram connections such as Slava Doval, Eileen Delehanty Pearkes, and Corazón choir director Allison Girvan. Reconciliation, Love and Healing – Pahan Pte San Win and Wanbdi Wakita of BearPaw Teaching & Healing offered their second annual inspiring weekend of teachings in April. They created a space of listening, sharing and healing, reflecting on questions such as: How do I live in balance? What is my personal action plan for reconciliation? What does it means to be an ally? Proceeds from the weekend support the Sundance of Women to be held in Manitoba this summer, the second of four annual Sundances honouring the Spirits of the Missing and Murdered Indigenous Women and Girls. Creston Valley-Kootenay Lake Tourism – The Creston Valley-Kootenay Lake Route Tourism Campaign is now live with the launch of the campaign website and a print guide. The Ashram is included in the Health and Wellness section of the route.